Well, one 7-year-old, who we’ll call SZ, has taken the eventuality of death to another level. He’s planning for it. This isn’t surprising if you know that SZ’s uncle is Clay Morgan, a fantastic blogger and all around great guy. Clay himself has worked in graveyards, so maybe there’s a recessive curious-about-death gene that runs through his family. Or maybe it’s just plain cleverness. SZ is also obsessed with technology, including his uncle’s blog, EduClaytion.com. He even created some original artwork. Clay thinks that by the time his nephew is thirteen, SZ will be the IT Director of Morgan Multimedia Worldwide, Clay’s not-so-secret plan to rule the world. I think Clay’s underestimating SZ. 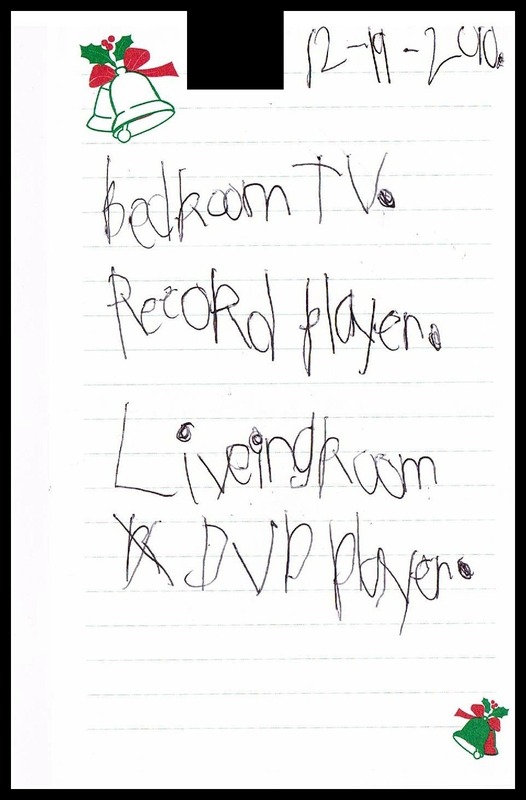 The kid’s a planner. I’d say he’ll have his sites on the CEO chair. So it’s Christmas holidays. SZ decides it’s time to make a list. Not a list of things he wants from Santa Claus, but a list of things he’d like, once his Grammy and Auntie die. SZ is retro cool. At age 7. Posted on May 31, 2011, in Views of Adults and tagged Chase McFadden, Clay Morgan, eduClaytion, family, funny, Humor, inheritance, kids and death, Leanne Shirtliffe, notes, Stuff Kids Write, Stuffkidswrite.com. Bookmark the permalink. 23 Comments. Retro cool is a great description for him. He is so funny, just a sweet kid. And you’re right about how children view death. I love that line from your son! Thanks for sending in his work. I’ll warn you, though. Chase and might steal SZ from ya in a few years for the Ironic Species empire. I have seen my future… I will be working for SZ! 🙂 Pretty sure we all will be! Just as aside from SZ’s mom….we must all remember he actually learned how to walk at a funeral home! He did all he could do to cruise along that line of chairs to the casket….the knealer now has a new function! As a fan of irony, the funeral home detail has be laughing. SZ has a ready-made framework for his memoir, I think. Between Clay getting left behind at a funeral home, to my middle monster asking me “why doesn’t she just WAKE UP?” (loudly! ), we have no fear when it comes to entertaining, er I mean, mourning. SZ also loves to take people by the hand during viewings and give each one a personal tour of whichever funeral home we are enjoying, er, I mean, visiting, at that moment! I think he should branch out and start requesting items from other kid’s relatives when they die. Like a Craig’s List for Dead People? Maybe “for” is the wrong preposition. “A Craig’s List by Dead People? from Dead People”? Am I being irreverent yet? My son, his grandfather and I were in the car – it was my Dad’s 70th bday. Love that. Your dad must have howled. Carpe diem, courtesy of our children. When I was ten, I put sticky notes on things in my grandparents’ house that I wanted. I wish I could go and change my answers because I no longer want artificial foliage that was bought in the 70s. Hilarious. Yes, time changes what we value, doesn’t it! Perfect. I’d like to hear how THAT conversation went down. Great opening line, Jess. Smiling up here in Canada! Hey, he could have lifted his leg on those items. Writing is refined marking. Thanks for sharing this, Clay. Chase, do you have experience marking furniture and electronics this way? Is this a guy thing or just you? So he wants the record player. Does he know something that I don’t know? Because after 30 years, I just kicked ours to the curb. Are those suckers going to be antiques? Can someone call SZ at school and ask him for his reason behind wanting the record player. I’m hoping he just wants to take it apart to see all the cool, colorful wires. Or maybe he wants to use it as a souped up “Sit and Spin.” Or may he plans to drop it from the roof of his house for the big boom. Obviously SZ knows something I don’t know. His parents should totally keep him… unless he starts talking about how he’d like their 8-track cassette player. Then it might be time to move the sharp objects. Too too funny. It’s become semi-cool for bands to release albums on vinyl. There are a lot of collectors out there. Okay, if I”m weighing in on what’s cool, we’re all in trouble. I should likely consult SZ. I love the laughter portion and how she knew the cliched what-to-say. I brought my twins to their first funeral last summer. My cousins’ grandma, who I grew up calling Grandma. They behaved remarkably well. I think it had something to do with threatening them with their own funeral if they didn’t. Because I’m such a good mom. I love that he wanted the record player…albums are definitely back in style!